Symbiofest is an annual one-day meeting held at the University of Georgia Odum School of Ecology. Anyone can give a 10 minute presentation (10 Powerpoint slides max) on some aspect of their symbiotic (mutualistic, parasitic, commensal) research. Free lunch (for students) and dinner is included. Students are especially welcome to provide updates on their research. 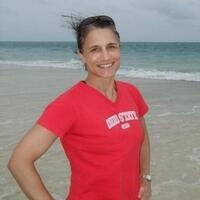 This year's featured speaker is Andréa G. Grottoli, professor in the School of Life Sciences at The Ohio State University. 4 p.m. - "Rohwer Coffee Break"
Dinner follows at 7 p.m.